Full results, brackets and media from the weekend is available at SenecaFallsCountryClub.com. 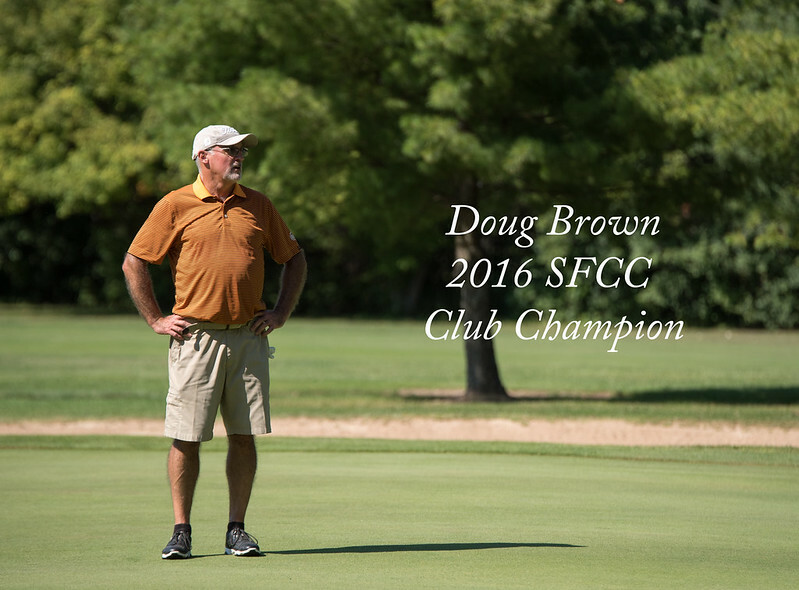 There will be an old school flavor to the 2016 Seneca Falls Country Club Championship final match on Monday afternoon as four-time winner Ed Boudreau takes on four-time champ Doug Brown at noon at SFCC. After 36-holes of stroke play on Saturday, the top eight advanced to match play on Sunday. Boudreau defeated Jim Sinicropi in the quarterfinals and then survived in the semifinals against Kevin Schweitz in 19 holes. On the other side of the bracket, Brown defeated Steve Hyde and then came back from 2 down with two holes to go to beat Dennis Leahy in 19 holes.